Fynn Asoke is a condo project developed by Fynn Development, Fynn Asoke has 8 floors and contains 250 total units, Units range from 1 bedroom to 2 bedroom. 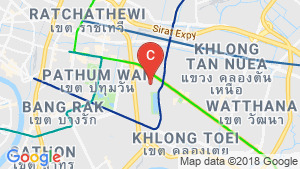 Fynn Asoke at Khlong Toei, Bangkok has the following facilities: cctv, fitness, garden, parking, security and swimming pool. Local amenities include Transportation close to public transport stations of BTS Asoke. A Condo Unit for Sale in the Prime Area of Bangkok Near BTS Asoke. One Bedroom Unit for Sale in a Low Rise Condo Near Asoke BTS. 2 Bedrooms Condo Unit for Sale in Foreign Quota - Fynn Asoke. FYNN Asoke – 2BR Type 2B2-6. FYNN Asoke – 2BR Type 2B1-2. FYNN Asoke – 2BR Type 2B2-4. FYNN Asoke – 1BR Type 1BP-1. Fynn Asoke condo Sukhumvit Soi 10. FYNN Asoke - 1BR Type 1B-10.